The analysis of waste composition revealed that organic content is the highest fraction, making up 52% of municipal waste. Current common practice of SWM in Lebanon is landfilling. Most municipalities in Lebanon, however, are unable to manage MSW effectively and efficiently because of the lack of financial, technical and human resources. Government and other stakeholders were unsuccessful to implement an integrated SWM in Lebanon. 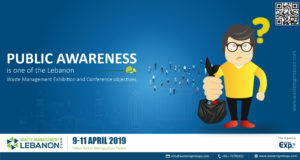 Public Awareness is one of the Lebanon Waste Management Exhibition and Conference objectives. 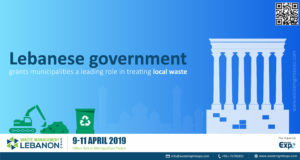 Lebanon Waste Management Exhibition and Conference will be soon considered is the only and biggest event in Lebanon related to Recycling and Environmental profiles. A series of exhibitions and conferences, have to take a place parallel to it. 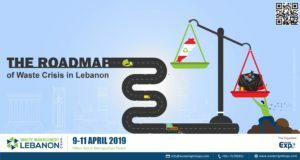 Having said that, Lebanon Expo will organize a road show to convert the challenges of the waste crisis into opportunities. Tagged Lebanon Waste Management Exhibition, Waste Management Conference, Waste Management objectives1 Comment on Public Awareness is one of the Lebanon Waste Management Exhibition and Conference objectives. Anwarul haque on Public Awareness is one of the Lebanon Waste Management Exhibition and Conference objectives.